A fun and exciting battleground in a militarized style! 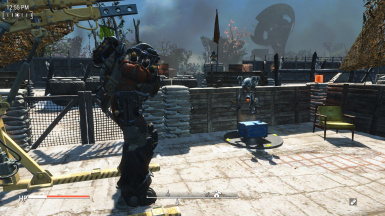 Fallout 4 Script Extender this is 100% mandatory for any of this to work. HUDFramework this is 100% required by Transfer Settlements. 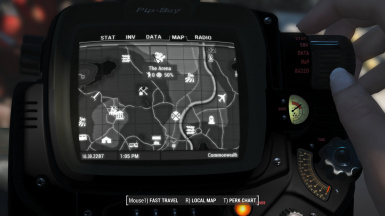 Transfer Settlements this is 100% mandatory to be able to use my blueprint. I don't own, nor do I claim to own any of the assets that are utilized in my blueprint. If you see something you like, I urge you to contact the mod authors about those matters. 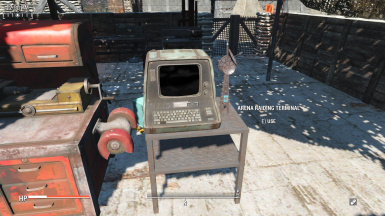 I would like to credit Bethesda for Fallout 4 as a whole, I couldn't even make this settlement without their game existing, CDante for making TransferSettlements a reality, Nutulator and Ethreon for making Sandbag Fortifications (thanks guys, this is my favorite! ), Athelbras for the Settlement Tidy Bot (I love this thing so much!) 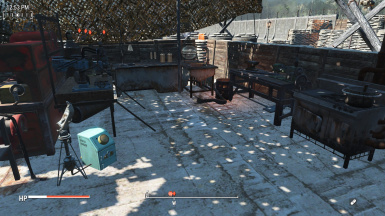 and the Settlement Radar Station (this fits my camp so well), Bombchu for the Switchbox Generators (this helped so much, very quickly), and KernalsEgg for the Turret Control Panel (this was extremely helpful for beefing up the turrets a bit more), and last but certainly not least, Thank you Faceless Wanderer for making your settlement raiding mod, I've been using this since it was just a ton of batch files, it has been dear to me, and I plan to use your mods until I stop playing fallout! Thank you guys for your great mods! 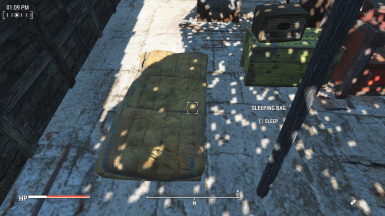 Consistency and Location, in my war camp, I've been able to handle both of these issues, and was even able to find a great deal of enjoyment while doing so! 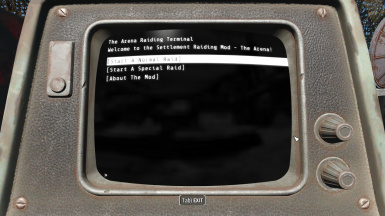 This particular "settlement" is all made possible due to the core mod I am using "Settlement Raiding" (the arena version, of course), the mod author had kindly provided us (the end users) a fantastic little settlement in which we can build inside of, while also turning it into the focal point of forced raid spawns. 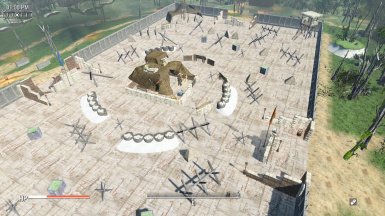 I had decided, this was a fantastic location for making my little testing area, including plenty of obstacles, protective barriers and even a little encampment at the center to act as the "base" as it were. I hope you guys like my camp, I sure do! 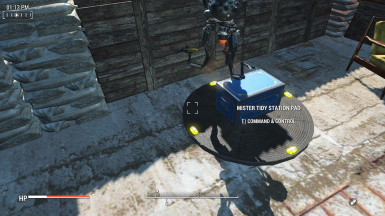 When using my blueprint, please make sure that Slot #1 in Transfer Settlements is open, or that you do not mind if it gets overwritten with my blueprint.